I almost didn’t do this one because there were so many books I could have picked (and my power and internet keep going out which complicated things). 27 Hours by Tristina Wright– This one is the one book I would choose above all others to present to my younger self. Teenage me probably would have cried as much as adult me did to see us represented in a book. Basic Witches by Jaya Saxena & Jess Zimmerman– This one is way less serious, but oh wow do I wish a book like this had been around for younger me. Maybe I would have figured some stuff out about myself and my beliefs sooner, instead of wasting so much time on things that had been pushed on me but never quite felt right. 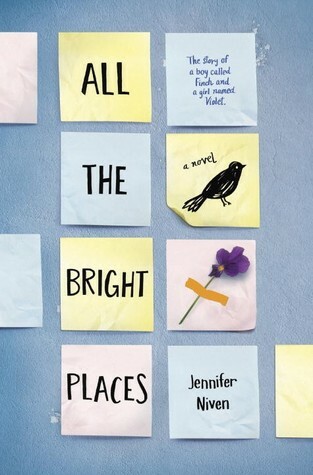 All the Bright Places by Jennifer Niven– I know this is one of those books that’s now criticized a lot, but my opinion hasn’t really changed. I wish teenage me had had this book. Finch has been one of the only characters with a mental illness that I’ve read about and related to. Teenage me probably would have felt a lot less crazy if I’d had this book back then. 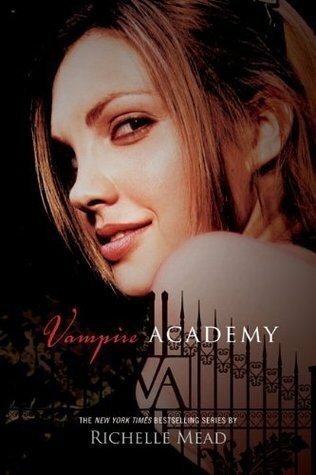 Vampire Academy by Richelle Mead– This one is just fun, nothing deep or serious about it and why I wish I’d read it when I was younger. I’ve always loved vampires, and it took me an embarrassingly long time to read this one because I didn’t have access to it when it was new, and by the time I did, Twilight was around and I just assumed the VA books were going to be similar to those Oops. 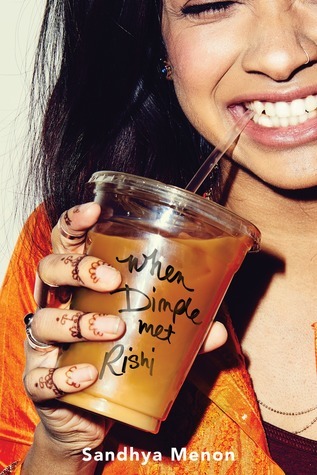 When Dimple Met Rishi by Sandhya Menon– This one also isn’t on the list for any huge reason, it was just super cute and fun. I’m not a big fan of a lot of contemporary books, especially the cuter ones, but I think if I’d encountered this book sooner, that would be different. Why I read it: It exploded on social media and after I heard the description, I had to read it. I got lucky and scored an e-ARC from Net Galley! Who I’d recommend it to: YA sci-fi fans, especially if you’re looking for diverse reads. Must love puns. I want to start by saying that I really liked this book. It was one of my most anticipated 2017 releases, and I literally screamed and danced around when I was approved for an ARC. At the end of the review, I’ve included some links to other blogs, including one from Tristina. The diversity in this book is the best I’ve ever encountered, and I want a thousand more books with rep like this or better. We have multiple main POC characters, a bisexual deaf character, a couple of gay characters (if I remember right), a pansexual trans character, an asexual character, a lesbian couple and a gender neutral (I think, so please correct me if I’m wrong) character. There were probably more, but I stupidly didn’t take many notes about anything because I read this in like a day and didn’t think about it. So, A+ for diversity, I think. (But definitely check out other reviews from people whose voices count more than mine for things like the POC, deafness, ace, trans, and gender-neutral reps, because I really can’t make any comments or judgments about those. I’ve been seeing some not so positive comments about some of these reps since I read the book.) I can’t speak for most of the rep, but omg the pansexual character. My ❤ I had to take short breaks a couple of times because I related so much to what she was going through. What she experienced captured so well how I felt for a while in high school and shortly after, and it felt so good to finally see some pan rep in a book. I feel like I’ve been waiting my whole life for this, and I wish this book had existed when I was in high school. The romances were so. freaking. cute. I’m usually thinking something like, “Ok, ok, I get it, they like each other, blah blah blah, can we get back to the story, now?” when I read a book with a romance sub-plot. Not so with 27 Hours. Honestly, I loved the romances. The puns from one character almost killed me, though. (I related to that, too.) From the very beginning, I was rooting for the couples as well as the individual characters. I don’t think I’ve ever wanted book characters to get together and be happy as much as I did while reading this book. This book is action packed. Like, from the first couple of pages, it barely lets up until the very end. This is about a 400 page book and I almost read it in one sitting. (I read it during a read-a-thon, but that’s still not normal for me.) There are constant threats of danger, fight scenes, escape scenes, just…so much action. I was literally on the edge of my seat for a while, my eyes flying over the words as fast as they could to find out if everyone made it out of whatever situation they were in. It was intense, but awesome. All that said, I have been sitting, thinking about this book and how to review it for a couple of weeks because I had mixed feelings. When I first started this book, I liked it. Very soon, I loved it. But, the whole time I was reading it, I kept thinking something was a little “off,” or at least something made me feel a little weird. The idea was a confused, insubstantial thing in the back of my mind until I came across a couple of reviews that put it into words far more eloquently, I’m sure, than I can. This is a story of, essentially, human settlers vs the native beings (called “chimeras,” or, the derogatory term “gargoyles”) of a moon far, far from Earth, and the war they’ve been fighting for a few decades. I remember thinking it reminded me of something, while I was reading, but I read it so fast I didn’t really process it until later. It reminds me of European “settlers” fighting with and stealing land from indigenous people all over the place here on Earth. Looking back, it kind of bothers me that all the perspectives in the book are human characters, and there are no chapters from the chimeras’s POV. That might not be the case with the next books, I don’t know. I just wish there’d been at least a few chapters from a chimera’s, or multiple chimeras’s, POV. At no point, that I remember, does it come across that the actions of humans against chimeras are justified or anything like that, though. The issues of the colonization are addressed in the book, pretty directly, I think. It might not be perfect, but it’s not brushed aside or ignored. Lastly, while I thought the world-building was very good, there were times when I was really confused for a while. I think I eventually caught up because things were explained later, but the characters are, in my opinion, more developed and stronger than the world-building. That didn’t bother me too much because I usually prefer character driven stories, and I struggle with extensive world-building sometimes (I can’t keep track of everything, etc. ), and I didn’t feel the world was under developed by the end. It’s just been left open enough for going deeper in subsequent books. I really, really liked this book, and I’ve been talking about it a lot. Is it perfect? No, but what book is? I think Tristina Wright did the best possible job she could, and it’s pretty clear that she put in the work for the reps in this book. You can’t please everyone or capture everyone’s identity in one book, because everyone’s experience is very different. I personally felt a connection to a couple of characters in this book at various points, but that doesn’t mean everyone will have the same experience. I’m torn between 3 & 4 stars, but I’m leaving it at 4 for now, I think. Maybe I’ll say 3.5 stars. This was probably the hardest review I’ve ever written, and I’m still not sure I managed to say what I mean. I tried, and all I can do now is direct you to other posts from people who can talk about the things I can’t. There are probably many more blog posts out there that talk about these important subjects, from people more qualified than I am, but these were the ones I found shortly after reading the book, while trying to figure out how to put into words what I thought of everything. — Show off some of your favorite science fiction and fantasy cover art! Ok, this was too hard, so I decided to narrow my options down to only covers for 2017 releases. There are just too many amazing SFF covers out there, and even narrowing it down to just this year’s releases was a little hard. A Conjuring of Light by V.E. Schwab– I love all the Shades of Magic covers, but I think this one might be my favorite of the three. Strange the Dreamer by Laini Taylor– I couldn’t help but add this one to the list ❤ I love both the US and UK covers, and now that I have a copy, I’m almost wishing I’d ordered the UK edition instead because of the blue edged pages. I’m envious of everyone who has that edition. 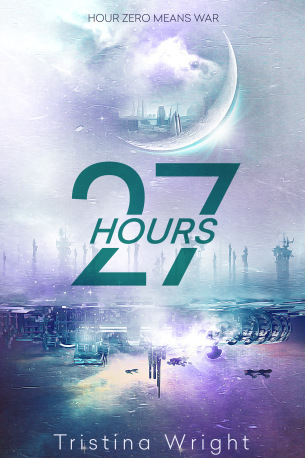 27 Hours by Tristina Wright– I’m not even exactly sure what it is that I love about this cover, but oh well, it made the list. This is also one of my most anticipated books for the second half of the year. Caraval by Stephanie Garber– I just love it. I’m pretty sure even my husband said he liked this book’s cover, and he rarely comments on that kind of thing. While I love the UK edition, I think I like the US just a tiny bit more, and if I buy it, that’s the one I’ll get. What are some of your favorite SFF covers?